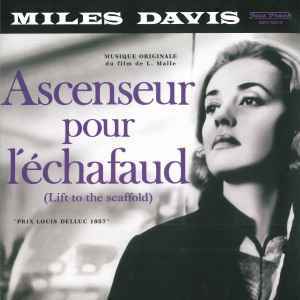 Side A: Soundtrack for the film Ascenseur pour l'Echafaud (Frantic/Lift to the Scaffold): [...]. Paris, December 4 & 5,1957. Side B: New York, May 26, 1958. Side B from an amazing 1958 session by the Miles Davis Sextet [...]. Note: Fran-Dance appeared on some issues with the original title of the tune on which it is based: "Put Your Little Foot Right Out" (Larry Spier). Miles dedicated the number to his wife, dancer Francis Taylor Davis. Reissues the 1958 monaural album Jazz Track on side A. The rear sleeve reproduces the original "Jazz Track" liner notes by Albert McCarthy.